Moist to wet. Woodlands, especially openings and edges; shrub swamps; tamarack swamps; alder thickets; edges of lakes and ponds; streambanks. Moderately shade tolerant. 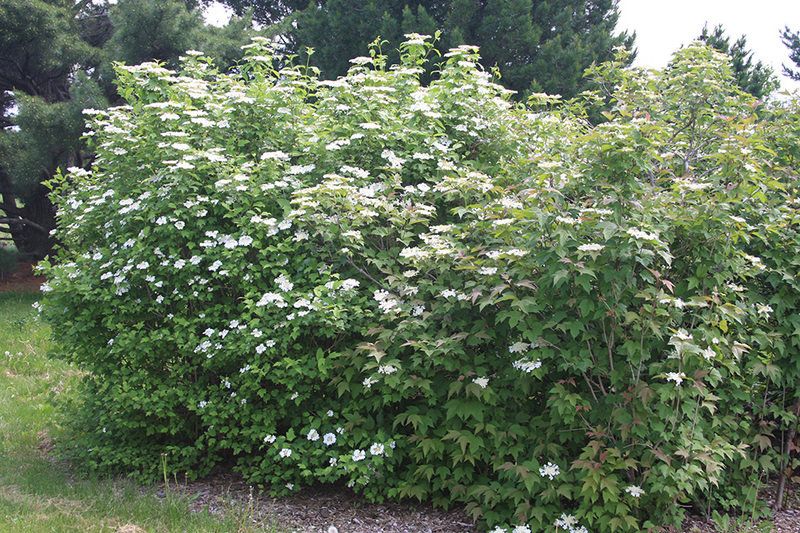 This is a relatively fast-growing, short-lived, tall shrub. It can be up to 16′ tall and up to 2⅜″ in diameter at breast height, but is usually no more than 12′ in height. It rises on multiple stems from scattered, deep, anchoring roots and shallow, spreading, fibrous, soil-binding roots. 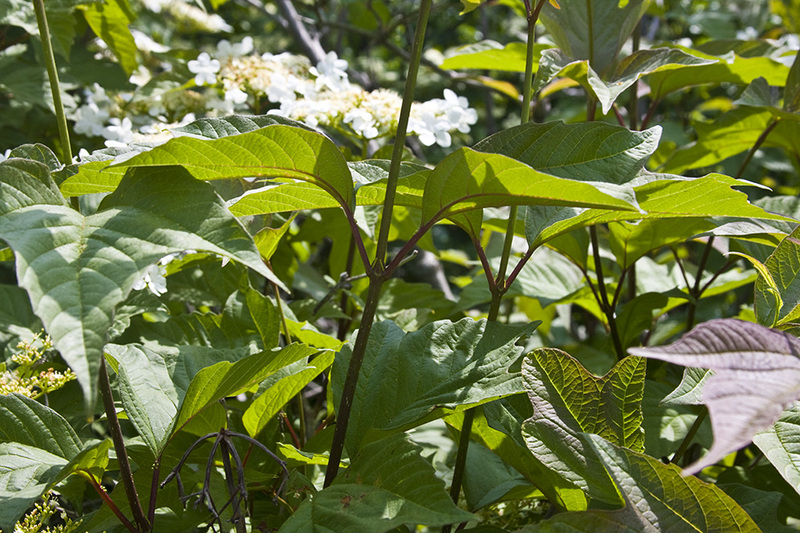 Shrubs reproduce vegetatively by layering or tip rooting. In layering, shrubs produce stems that lie on the ground with only the tips ascending (decumbent). A decumbent stem roots at a node, produces an aerial stem, and eventually detaches, forming a new plant. 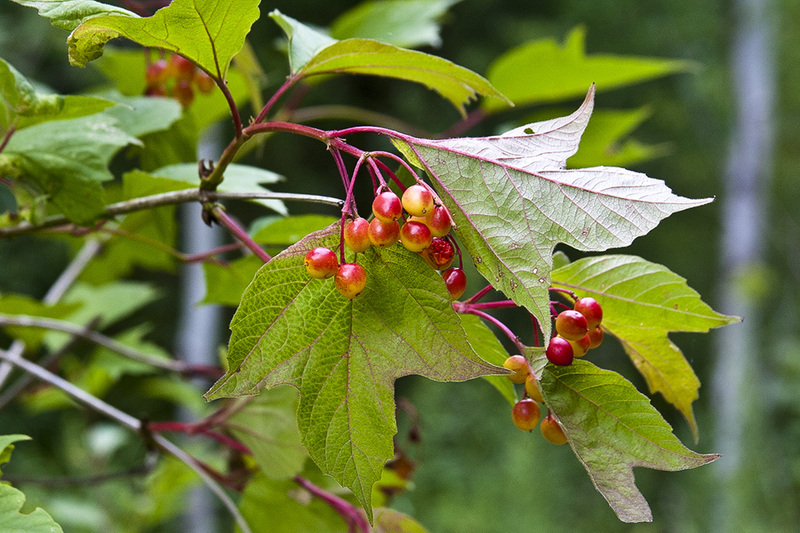 In addition, lower branches may droop to the ground, root at the tip, and send up a new shoot. Vegetative reproduction occasionally results in a thicket. 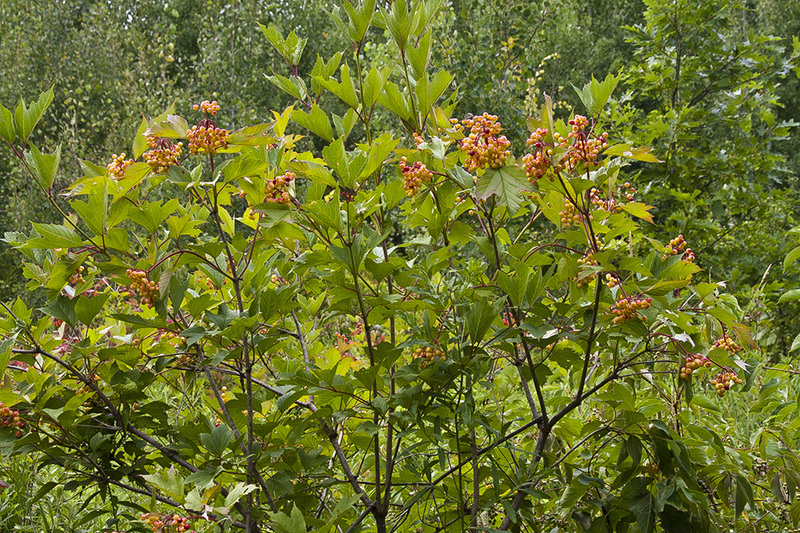 The stems are upright, slightly spreading, or sometimes arching. Twigs are moderately stout. First year twigs are green to reddish-green and hairless, with white, conspicuously raised bumps (lenticels). Second-year twigs are yellowish-brown to grayish-brown, round in cross section, and hairless, with widely scattered, small, round lenticels. The pith is white and solid. 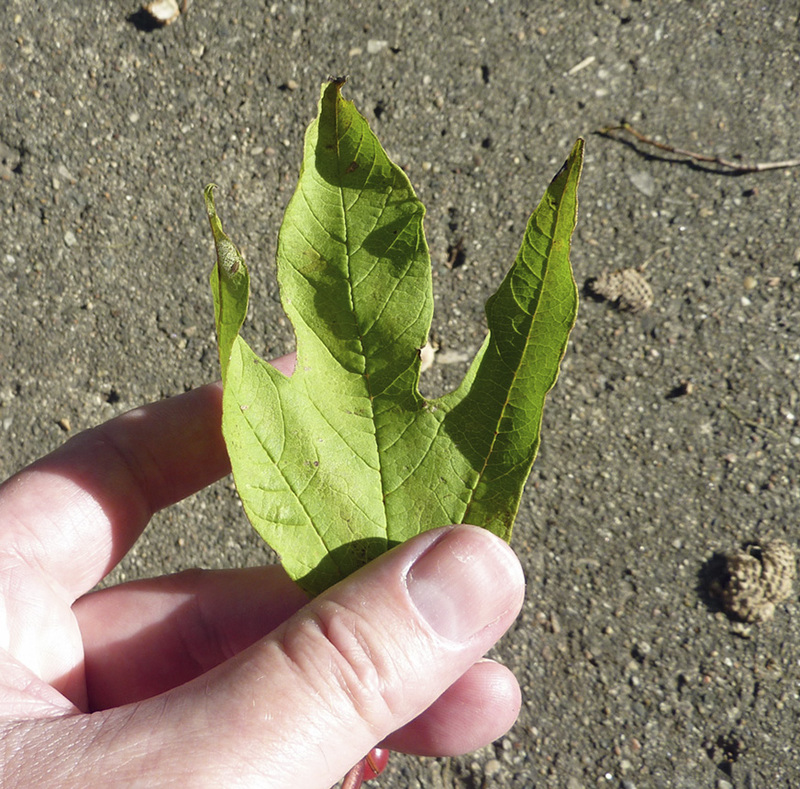 The leaf scars are narrow, crescent-shaped, and slightly raised. 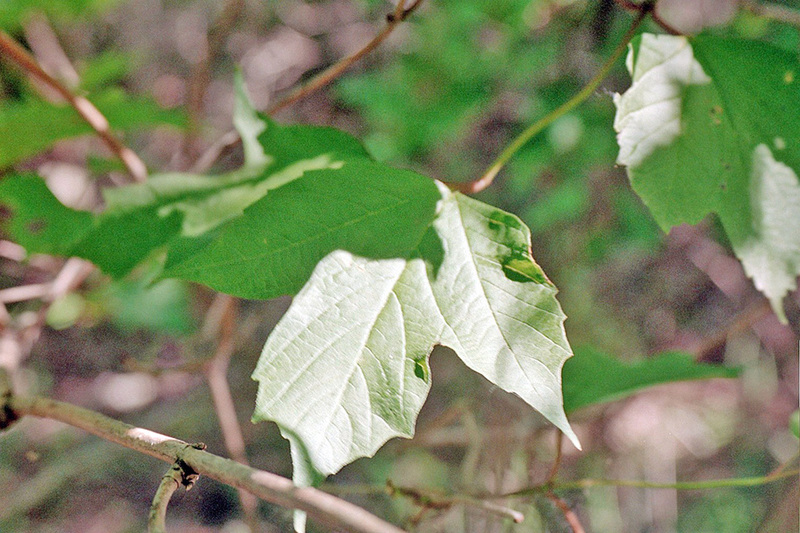 Each leaf scar has three bundle scars. The terminal bud is stalked, greenish-red, mostly hairless, short, plump, oblong egg-shaped, and somewhat flattened. It is not sticky. It is covered by two scales that are fused into a tube at the base and for part of their length, free and overlapping toward the tip. Lateral buds are about half as long and globe-shaped to egg-shaped. The bark is gray or grayish-brown, relatively smooth, and not peeling. On older stems the bark occasionally becomes somewhat fissured. 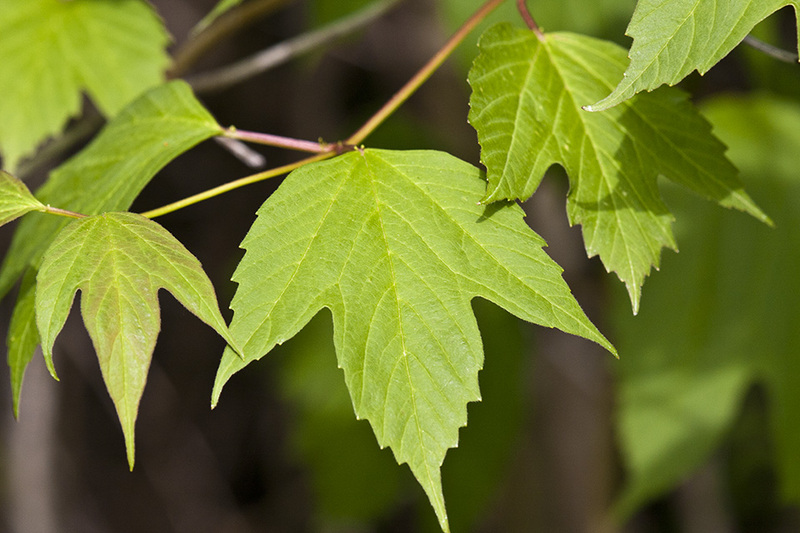 The leaves are opposite, undivided (simple), and deciduous. 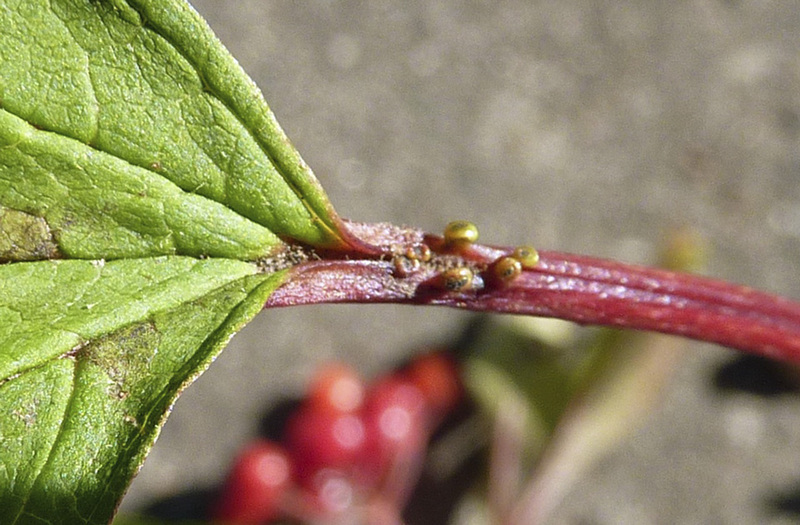 They are attached to the twig on a ¾″ to 1⅜″ long leaf stalk (petiole). The petiole is green or greenish-red and channeled on the upper (ventral) side. The channel has relatively long, coarse hairs, at least where the blade is attached. The petiole is otherwise hairless. It is not winged. There are 2 or 4 projecting, 1 ⁄64″ to 1 ⁄32″ in diameter glands near the attachment of the leaf blade. The glands are slender, circular in cross section, and flat or rounded (convex) on the top. There is a pair of leaf-like, smooth, 1 ⁄32″ to 3 ⁄16″ in long appendages (stipules) at the base of the petiole. 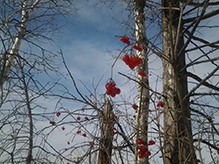 The stipules are deciduous and fall off early in the season. The glands may disappear or become deformed late in the season. The leaf blades are relatively thin, papery (firm), broadly egg-shaped in outline, shallowly to moderately 3-lobed, 2″ to 4¾″ long, and 2⅜″ to 4⅜″ wide. They are broadly rounded, broadly tapered, or nearly squared off at the base. The lobes are angled or short-tapered to a sharply-pointed tip. 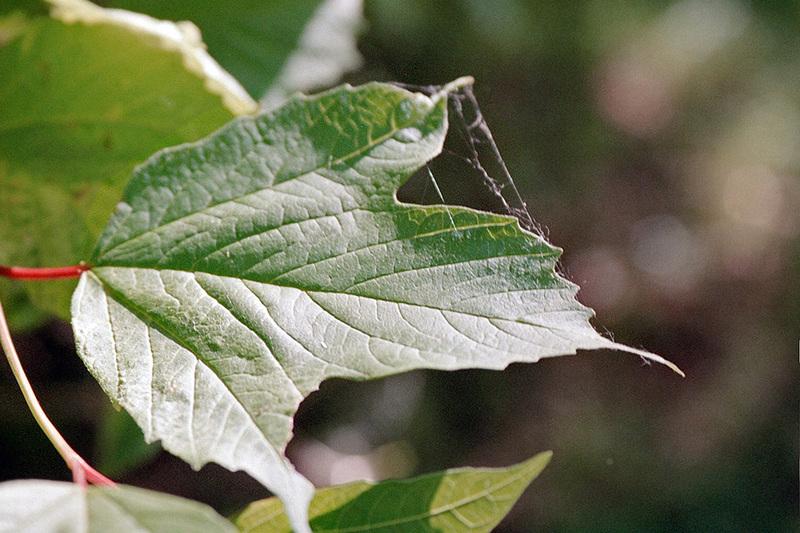 The leaf blades are palmately veined with three main veins, each one extending from the petiole at the base of the blade to the tip of one of the lobes. Each main vein has several pinnate secondary veins. The secondary veins are straight or slightly arched, and most reach the margin and end in a tooth. The veins are depressed on the upper surface of the blade, raised on the lower surface. The upper surface is dark green, has a slightly wrinkled appearance, and is sparsely hairy or almost hairless. 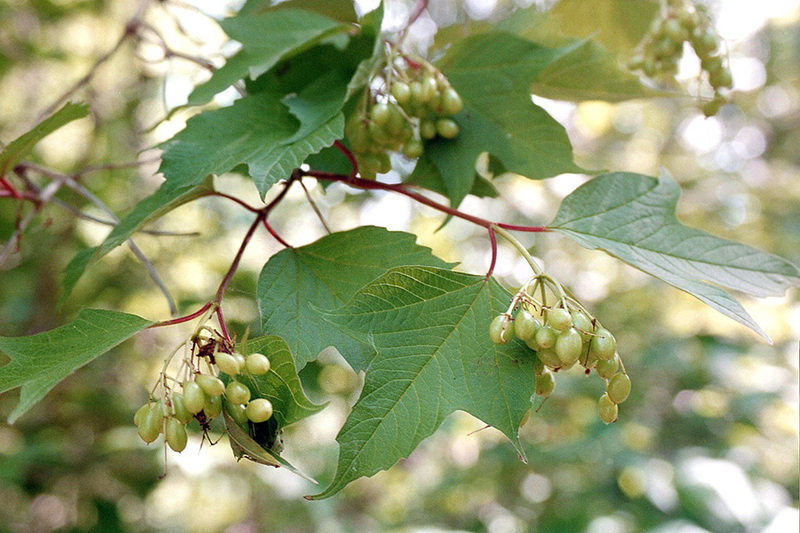 The lower surface is pale green and sparsely hairy or moderately to densely hairy along the main veins. The margins may be untoothed or sparingly toothed. Leaves near the branch tips are often narrow and unlobed. 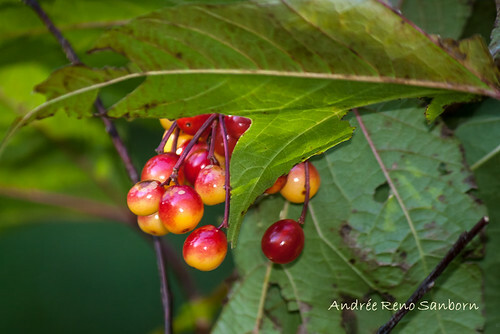 The leaves turn yellow, orange, red or dark reddish-purple in the fall. 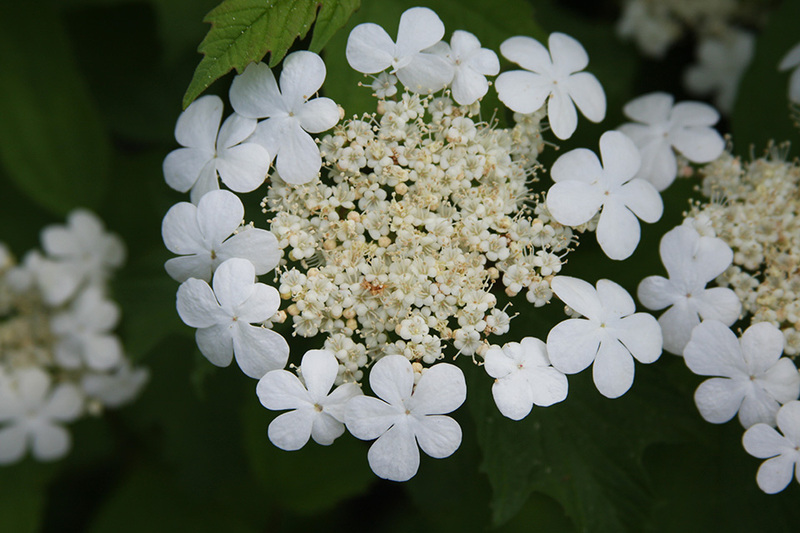 The inflorescence is a dense, rounded, flat-topped, 2⅜″ to 5″ in diameter, branched cluster (cyme). It is borne on a ⅝″ to 2″ long stalk (peduncle) at the end of a four-leaved shoot that rises from a lateral bud at the end of a second-year twig. The cymes have 6 to 8 main branches emanating from the tip of the shoot. Each cyme has 100 or more small fertile flowers and an outer ring or 5 to 10 much larger sterile flowers. 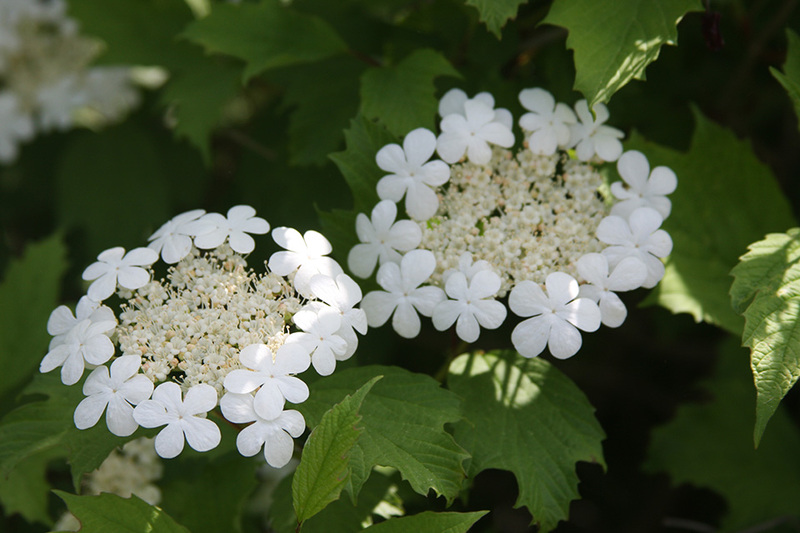 The fertile flowers are ⅛″ to ¼″ in diameter. 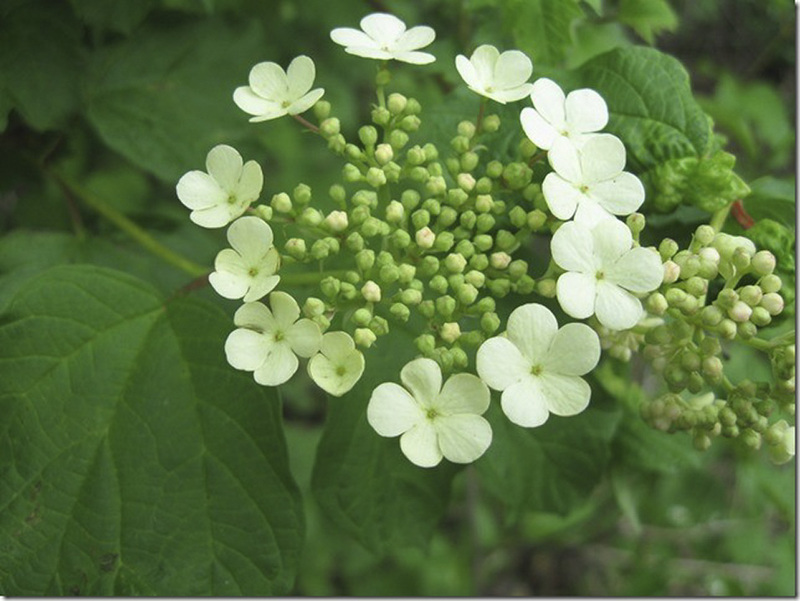 There are five sepals, five petals, five stamens, and one style. The sepals are green, fused for most of their length into a minute cup (calyx), and separated at the tip into five minute, egg-shaped lobes. 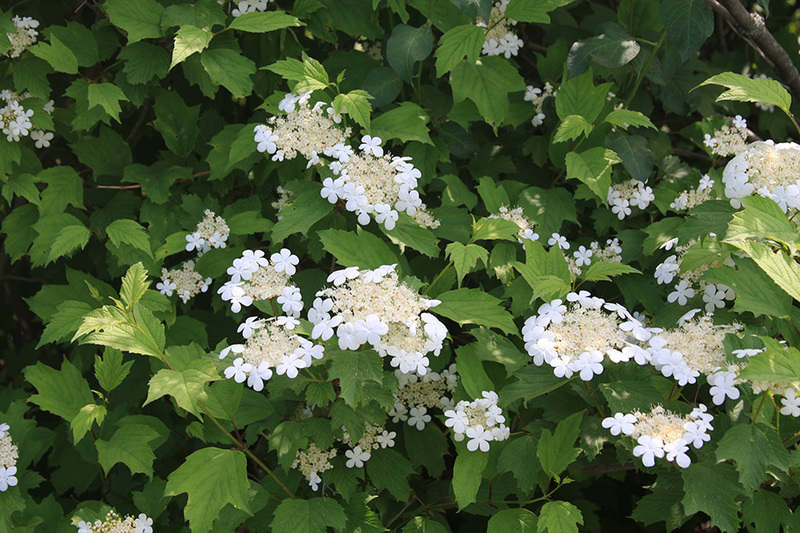 The petals are pale yellow to creamy white, egg-shaped to elliptical, and 1 ⁄16″ to ⅛″ long. The stamens have white filaments and bright yellow anthers. They are 1 ⁄16″ to ⅛″ long, longer than the petals. The style is thick, short, light green, and tipped with a three-lobed stigma. The sterile flowers on the margin are flat and ½″ to 13 ⁄16″ in diameter. The flowers have an unpleasant scent. They appear in late May to late June after the leaves. The fruit arrangement (infructescence) is a heavy, drooping cluster. 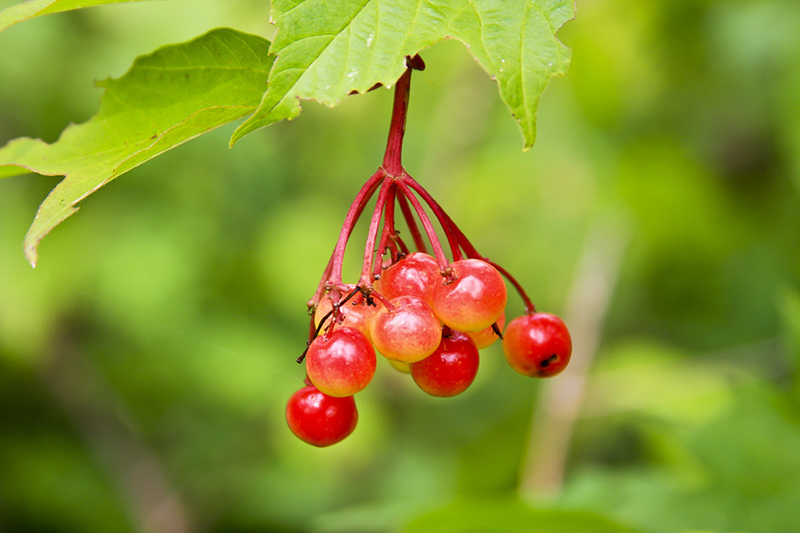 Each fruit is an edible, juicy, cranberry-like, ellipse-shaped to nearly spherical, ¼″ to ½″ in diameter drupe. It contains one seed. It is green initially, turning yellowish as it matures, eventually becoming translucent orange or bright red when ripe. The calyx and stigma persist in fruit, forming a dried tip at the end (apex) of the drupe. The peduncles turn red as the fruit matures. 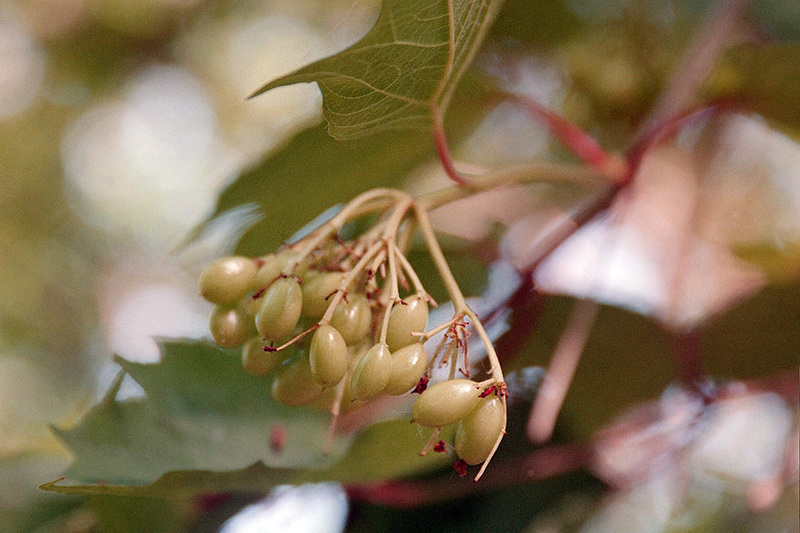 The fruit ripens in early August to early September, often remaining on the plant through the winter. 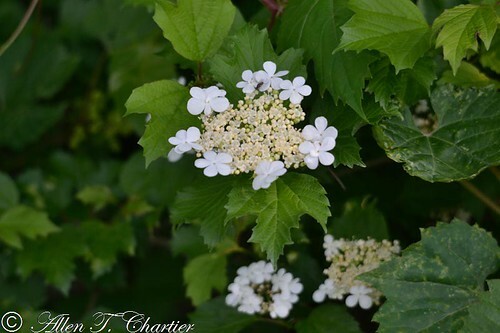 European cranberrybush (Viburnum opulus var. opulus) leaf petioles have up to 8 projecting glands. The glands are larger, elliptical in cross section, and indented (concave) on the top with a conspicuous ear-like rim. The channel on the petiole is hairless of has scattered, short, fine hairs. The leaves are smaller, no more than 3⅛″ long and wide. The leaf margins are coarsely toothed. The drupes are bitter. 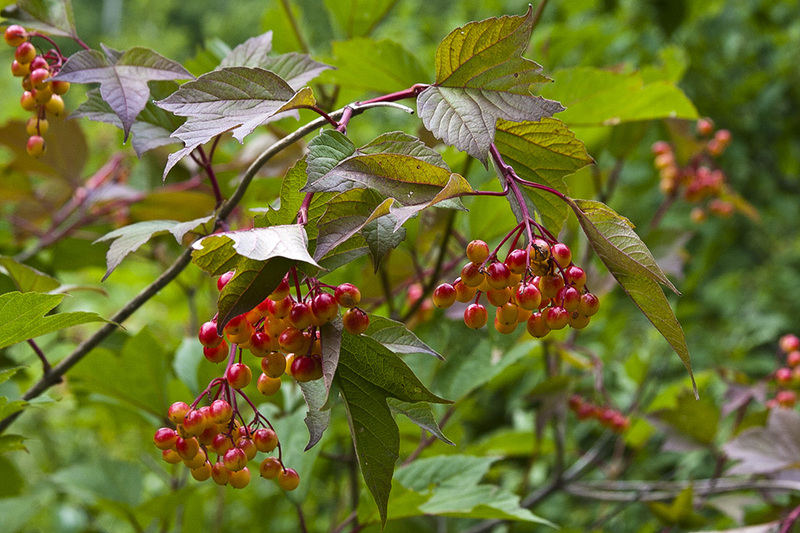 This is a deciduous shrub, not a true cranberry (Vaccinium Oxycoccos), which is an evergreen dwarf shrub. A method of propagation where a stem or branch comes into permanent contact with the soil, sprouts roots, and then detaches from the main plant. 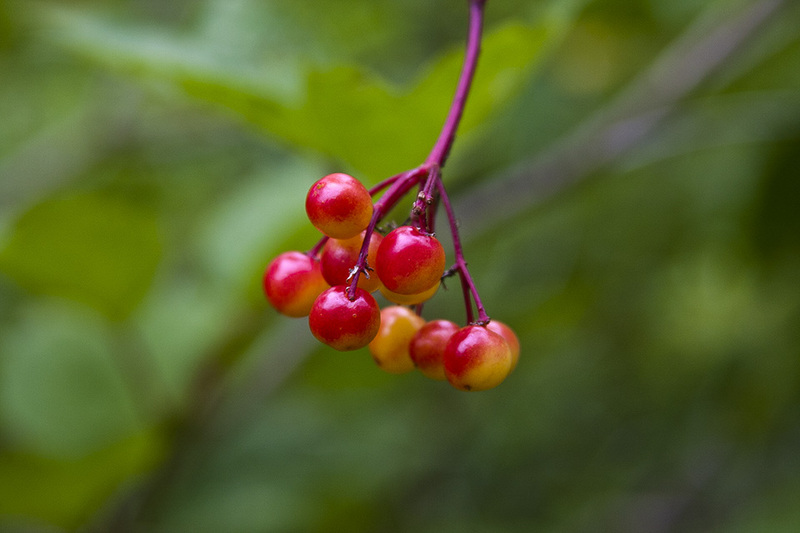 Winter hardy high bush cranberry found in Wright County, MN. March, 2014. 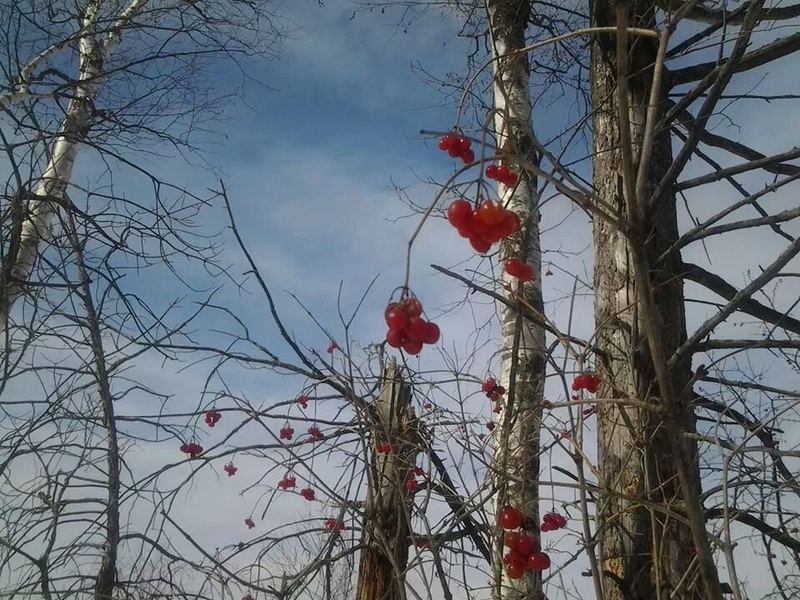 These are highbush cranbery bushes which will bear cranberries later in the summer. Location: Collinwood County Park, Cokato, Mn. Collinwood lake.